John Doe wakes up in the morning and brushes his teeth. He then takes a shower, gets dressed, and has a cup of coffee or breakfast on the way to work, school, etc. He has a very long day at work, then comes home, gets tired, and falls asleep on the couch. He then wakes up, goes to bed, and starts the routine all over again the next day. Here is the problem with this routine. From the time he brushes his teeth to the time he has something to eat or drink is maybe 1 HOUR, if lucky. Basically, his teeth are never clean! His brushing in the morning gave him clean breath and that was about it. Now let’s look at it if he added brushing right before he went to bed and slept for 7 hours. He has now gone from 1 hour per day to a total of 8 hours per day where his teeth are clean. (Once you brush at night do not have anything to eat or drink or your teeth are dirty once again!) He has basically gone from the point where his teeth are never clean, to his teeth are clean 1/3 of the day. That is a tremendous difference! Now that we have figured out how important frequency is, what about technique? Let’s look at John Doe again. He is now brushing twice per day but he hates brushing, so he is doing it for about 30 seconds and then done. Most will tell you that proper brushing takes at least 2 minutes, but we recommend walking around the house, watching tv, etc while you are brushing, so that you will brush for 5 minutes or more! I know that sounds like a lot, but think about the shot, drill, and consequences if you do not! Some of you may be asking, “If I brush that long, wouldn’t I brush the enamel off my teeth?” The answer is no. With the soft bristle tooth brushes offered today, and the gentle toothpastes that we now use, you will not brush the enamel off your teeth. Now, if you are using baking soda, or something abrasive like that, then it would be possible and something you shouldn’t be using anyway. Now remember, this isn’t an Olympic event which we brush as hard and fast as we can. 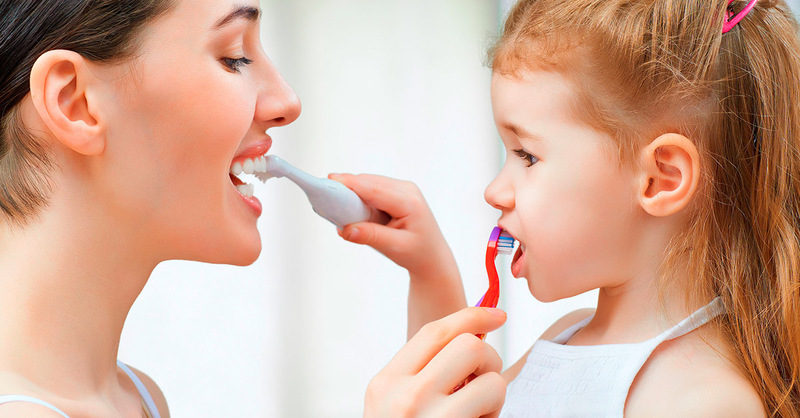 Always brush in small, gentle massaging circles along your gum line and each surface of every tooth. Brushing side to side and up and down is how we were all taught, but studies show that the circular motion sweeps more plaque away from your gums. Side to side and up and down motions tend to sweep plaque between the teeth, where you are more likely to get a cavity! Next time, let’s talk about flossing! That white piece of string that your hygienist gives you!